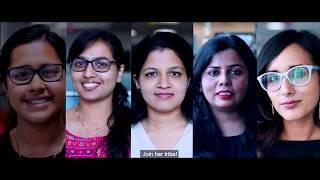 Keeping the spirit of Football alive, BYJU’S, took it’s top 100 performers across domains to the 2018 FIFA World Cup in Russia. 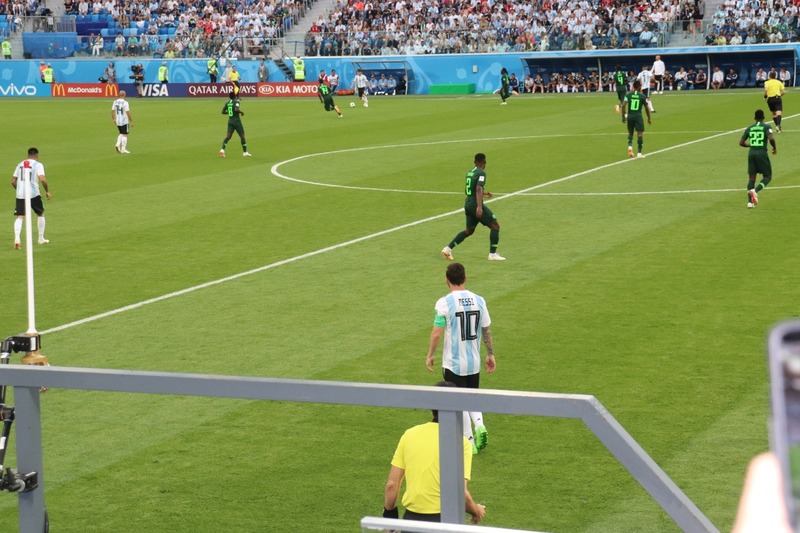 On, what most considered the ‘trip of a lifetime’, BYJUites got to witness Messi lead team Argentina to victory against Nigeria live at Zenit Arena at St. Petersburg. This luxury trip took BYJUites to the land of Czars for 3-days and to Dubai, the land of Sheikhs for 2-days. The trip kicked off on 25th June when the team checked into one of the finest hotels in St Petersburg – The Corinthia, which was followed by a day at the St Petersburg Stadium watching the glorious Argentina-Nigeria match. As quoted by many of the members, the feeling of being “there” at a FIFA World Cup Stadium, watching a live match, is an unparalleled emotion. “Being there, in the World Cup stadium and seeing Messi up close nearly took my breath away. It was a moment very few people get to experience in their lives and I am extremely grateful for getting an opportunity like this. 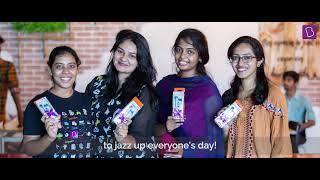 I’m still reeling under the effect of that trip,” shares thrilled Deepak Himmat Singh. The following day took the group to the majestic Peterhof Garden and Palace, ending the day with a fun evening at the FIFA Fan Park followed by a river cruise. The trip also consisted of city tours and rides to give a complete experience of the unique world that is Russia. 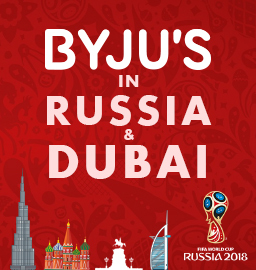 After the whirlwind of events and experiences in Russia, the team flew to Dubai, where they spent two days in the luxurious Jumeirah Al Qasr, a part of the Madinat Jumerah, the largest resort in Emirates. And what is a Dubai trip without getting to be on top of the world? BYJUites got to experience that at the Burj Khalifa along with the famous Desert Safari and Wadi Water Park. “This has been a ‘Once in a lifetime trip’ for me. I am super proud of the fact that my hard work paid off and I got to be a part of this amazing trip to the Russia World Cup. After this trip, I am extra motivated to put in more and excel at my work every day. 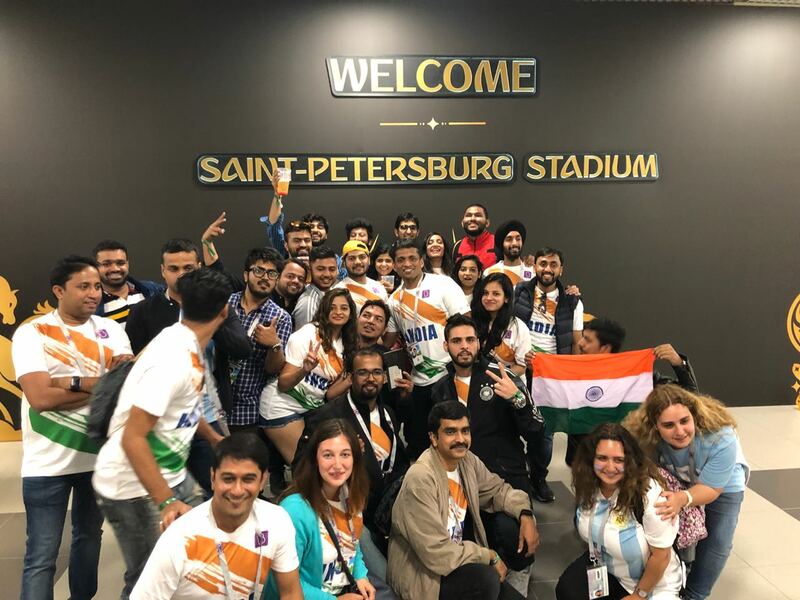 Every single experience was hand-picked for the team and this made the whole Russia and Dubai extravaganza extra special,” shared Mohamed, BDA from Kochi. Catch a glimpse of the Russia-Dubai Trip below!